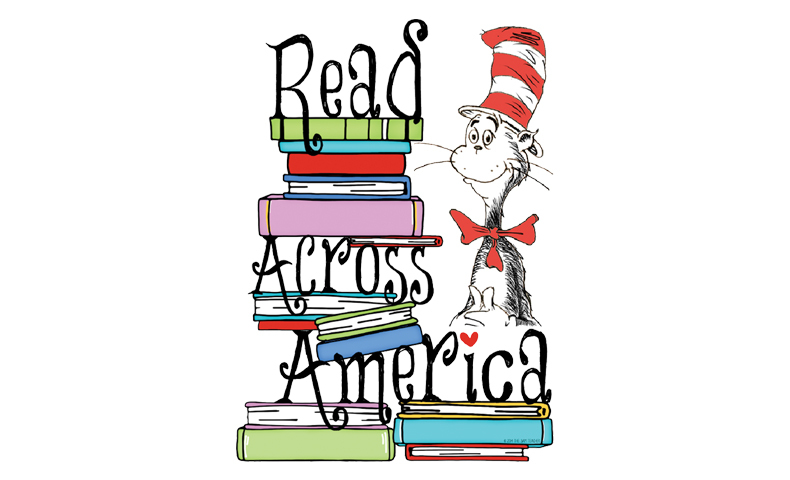 Read Across America Day has been promoting literacy for 20 years by encouraging children in every community to celebrate reading on March 2, the birthday of beloved children’s book author Theodore Geisel, better known as Dr. Seuss. This day of observation directly aligns with our corporate commitment to promoting literacy and education as a way to help support sustainable development of our communities. Although he is no longer with us, Dr. Seuss continues to charm generations of children with his books. With memorable rhymes, iconic illustrations and playful storylines, Dr. Seuss books have helped millions of children learn to read. When Geisel was already a successful author, he and his publisher were inspired by a report in Life Magazine on illiteracy among schoolchildren. The report suggested that children were having trouble reading because their books were boring. Geisel and his publisher created a list of words that they felt were important for children to learn, and they set out to teach those specific words in an entertaining way. Nine months later, they published “The Cat in the Hat” under the name Dr. Seuss. The rest is history. We, too, have been inspired by research that shows the importance of childhood literacy programs. Through our Powerful Pages program, we engage with organizations and schools across North America to promote literacy and equip students for learning. We have been longtime partners with First Book and Classroom Central, two nonprofit organizations that work to provide children with necessary supplies for learning, such as books and school supplies. Mounting evidence also shows that paper is important for learning and that reading books on paper allows readers to focus better and retain more information than reading on a screen. Domtar is proud to play a role in promoting literacy through the many children’s books —including Dr. Seuss titles — that have been printed on Domtar’s Husky® paper, which is manufactured at our Johnsonburg Mill. Across the nation this March, teachers, children, parents, grandparents and librarians will participate in Read Across America Day. By promoting literacy through fun activities, Read Across America Day helps make reading exciting for children of all ages. This year, colleagues from Domtar’s Fort Mill, South Carolina, location are promoting literacy by holding a book drive for local children. You can get involved, too. Visit Seussville for Read Across America ideas and printable activities designed to celebrate reading with the children in your life.